Granny pods have been around for at least 20 years but are still unusual – unless the backyard structures are viewed as just an evolution of the decades-old in-law apartment over the garage. But more granny pods are starting to pop up in this country, including in California, Hawaii, and Amish communities. They’re also gaining popularity with Australians, who call them granny flats. Barker’s county, Hillsborough, didn’t require a zoning change to build the cottage, which is a permanent structure with a poured foundation. However, the county would bar her from renting it to a tenant in the future. That’s a fair compromise. She said that if she lived in one of Florida’s gated communities instead, she’d have “zero” chance of building one. A few more municipalities are starting to accommodate residents’ needs for parental care. Last year, Los Angeles embraced a new California law permitting and regulating the structures as a way to ease the pressures on caregivers and on the housing market. And two years ago, Tullahoma, Tennessee passed an ordinance that allows them to be built on a caregiver’s property to house an impaired person. 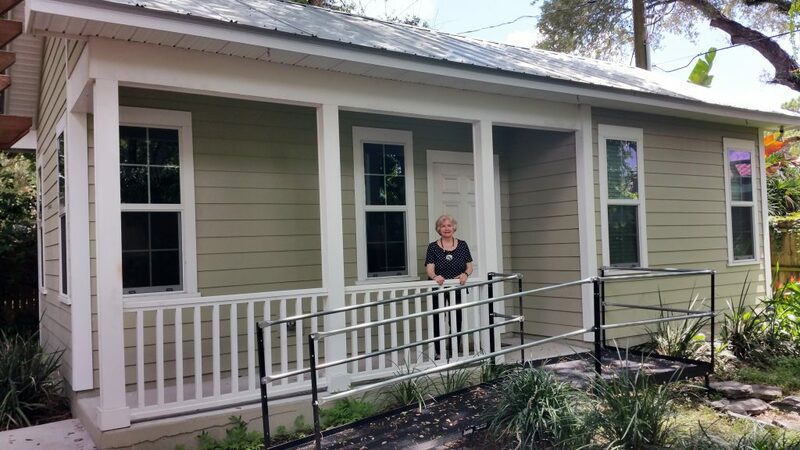 Barker said that the granny pod, which is hooked up to the utilities in her main house, was a much lower-cost option than hiring home care for her mother at $10 to $12 per hour. The cottage might also postpone her mother’s move into full-time elderly care, which Barker said would cost, at a minimum, $30,000 a year. When her mother’s old house is eventually sold, the proceeds will be added to George’s savings to pay for medical or other bills. During the interview for this article, Barker felt confident that her mother was safe, sound, and comfortable in her cozy cottage. “She’s in her house puttering,” Barker said. Wow, $10-12 per hour for home care. In Seattle, that number is $22-30 per hour. And full-time care in a group setting with your own apartment/studio is $5,000/month to start, plus the cost of added services.